On Writing a Guest Post! How do you get link backs to your sites and content? Yep, the dreaded guest post is one way. There is loads to unpack here but will do my best today. Please like my page, subscribe and follow me. 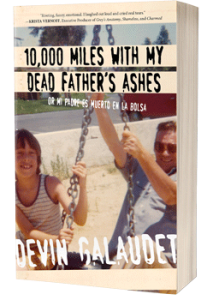 Also join me at devingalaudet.com/dad to learn how I am giving away gift to all who book my memoir, 10,000 Miles with my Dead Father’s Ashes.